250ct., .45 COLT cal., 255gr. L-SWC, Cowboy ammo. Manufactured in the U.S.A. by Deuce 45's, Inc. 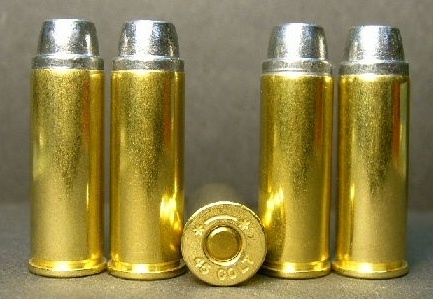 These rounds are made with new brass, new L-SWC (lead - semi-wad cutter)bullets, new powder and new primers! These loads are nice and accurate with mild recoil. Perfect for cowboy action shooting! Bulk packaged with 250 rds. per box.